Most stories inspired by the First World War focus on the suffering and horror of trench warfare, the sheer number of men killed like animals sent to slaughter, the injustice and futility of it all. I’m thinking about Pat Barker’s peerless trilogy, ‘Regeneration’ and Sebastian Faulks’ ‘Birdsong’, or for young readers, Michael Morpurgo’s ‘War Horse’ and ‘Private Peaceful’. There’s something riveting about the horrors so graphically described and I’m sure, if you were to conduct a poll, most people would say that their first thought when considering that dreadful conflict, is the unimagineable carnage. But that’s only half of the picture. A whole generation of young men was lost. What effect did that have on those who were left behind? It’s a rare writer who can go there, to make us feel, with the utmost compassion, a common bond with people who lived in times when manners and attitudes were so different. Dennis Hamley does just this, in this outstanding novel. In ‘Ellen’s People’, we see the war through the eyes of a teenage girl, not someone called up to fight, but, poignantly, someone called to deal with the consequences of the fighting. Millions died, and millions lived for the rest of their lives, with the pain of loss, bereavement and grief. Ellen represents not the courage of the soldiers, but the courage of those who lived on, with an aching burden of memories. When I started reading ‘Ellen’s People’, Wilfred Owen’s wonderful sonnet: ‘Anthem for Doomed Youth’, came into my mind, especially the last few lines, which express this so beautifully. 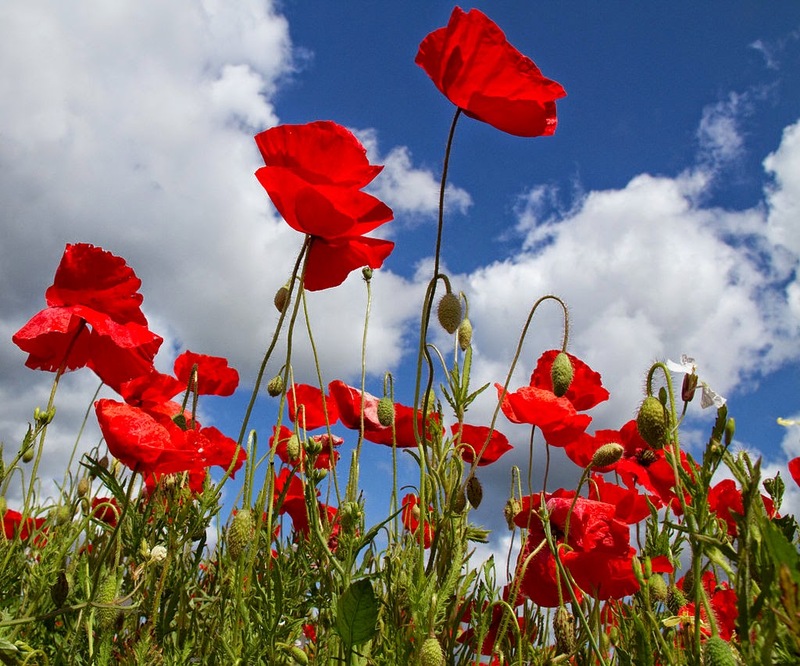 As Owen does in his poetry, Dennis Hamley writes with a wider understanding of the war, not only revulsion at what amounted to mass murder, but also the confusion and grief of those left behind, as their world is irrevocably changed. And not only that. Owen, a soldier at the front, could yet see the effect of the ‘cess of war’ on both allied and enemy forces. Dennis Hamley also approaches his subject with the same humane tolerance, offering us a deeper awareness of the effect on soldiers on both sides. 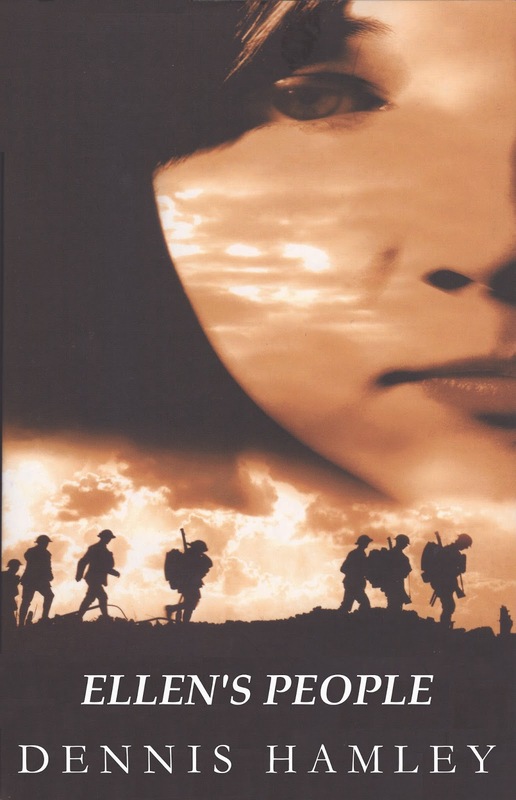 Ellen Wilkins is sixteen when the recruitment officer signs up her brother, Jack, along with the other young men in the village to go off to the war. Tempers flare and the village is divided, when the local landowner, Colonel Cripps, seems to defend the Germans, but Ellen understands what he’s trying to say, that there are good and bad on both sides, and it would be wrong to go to war in a spirit of anger, seeking revenge, like butchers rather than soldiers. These differences are highlighted in Ellen’s own home, when her father will not hear of her working for Colonel Cripps, in his eyes a ‘toff’, one of those who prey on the working classes and enslave them in domestic service. Ellen sees things differently. At the heart of the novel is her journey of self-discovery, in a male- and class- dominated world, a world at war. To be true to herself, Ellen has to defy her father and break open all prejudices. In this she has help from one of the hated ‘toffs’, Colonel Cripps’ daughter, Daphne, who takes her to nurse in France, fulfilling her highest ambition, and opening yet another unexpected chapter in her life. ‘Ellen’s People’ is a thoroughly satisfying read. The detail of everyday life in 1914 is fascinating and creates an authentic setting for Ellen’s story. Each of the characters is well delineated, with their own back stories and motives, but especially Ellen herself, who is an appealing and ageless heroine. ‘Ellen’s People’ is out now in an ebook edition (Kindle) , soon to be followed by a paperback edition, from Blank Page Press. The book was previously published in the USA, under the title ‘Without Warning’. Read more about Ellen, in the sequel, ‘Divided Loyalties’, a story set in WWII, out on September 3rd. Written between September and October 1917, when Owen was a patient at Craiglockhart War Hospital in Edinburgh, recovering from shell shock. The poem was edited by his friend, Siegfried Sassoon. Just ordered it! I've been wanting to get hold of this book for ages. It's wonderful. Definitely one to use in school for WWI studies, too. I'm looking forward to getting hold of the sequel. Pauline, what can say? Thank you so much for this wonderful review. I have to say, though, that I think Divided Loyalties is a better book. And now I'm desperately trying to get the long-delayed completion of the trilogy ready for November and the 25th anniversary of the fall of the Berlin Wall. Ann, I hope you enjoy it!